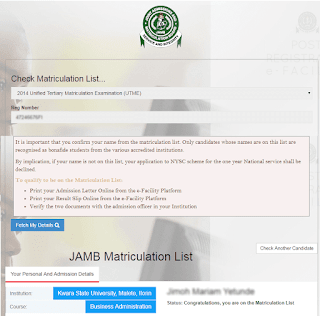 The Joint Admission and Matriculation Board JAMB has said that it has made some modifications on the 2018/2017 registration as it concerns selection of institutions by candidates. According to the Public Relations Officer of the board, Dr Fabian Benjamin, the board has made provision for “preferred choice” to give candidates ample opportunity of gaining admission. In his words, “What we did initially was that you only have one choice. Now, we have made it in such a way that if you miss the University of Lagos; University of Nigeria, Nsukka; Obafemi Awolowo University, Ile-Ife, and Ahmadu Bello University, Zaira, you will have an opportunity of going to another school. Before, all universities will be in first and second choice and that will not solve any problem. We have now decided to put a few of those schools we feel will have more spaces as more preferred.